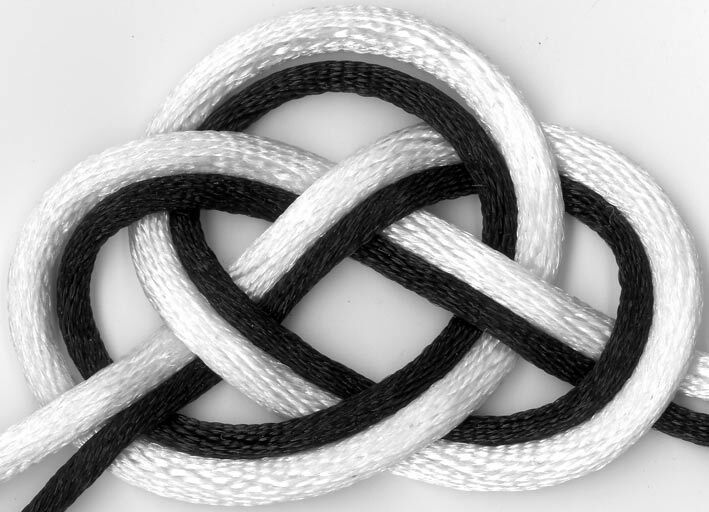 A common decorative technique for fancying up your knots (I like to call this illumination) is to take a cord of contrasting colour and pull it through the knot in parallel. When done with a cord of the same colour it is usually called doubling. When done with a cord (usually smaller in size) of contrasting colour, I like to call it sidelining (see right). When both sides of the cord are sidelined, then I call it outlining (see left). Hope it will make 'roots' in the knotting community. PS : the illustrations are very "clear" too. Bravo. Hey, Charles! Good to "see" you here. While I willingly lay claim to originating the use of the terms "illumination", "sidelining" and "outlining" as applied to knots, "doubling" (and "tripling", etc) have been used for a very long time. I take the idea of being mathematical as a compliment and hope my work helps people have that a-ha! or eureka! moment. Totally off-topic, but does anyone else remember some math program that had an a-ha bird character? I'm an ex sailor and got plenty of time to 'play' with rope and string. 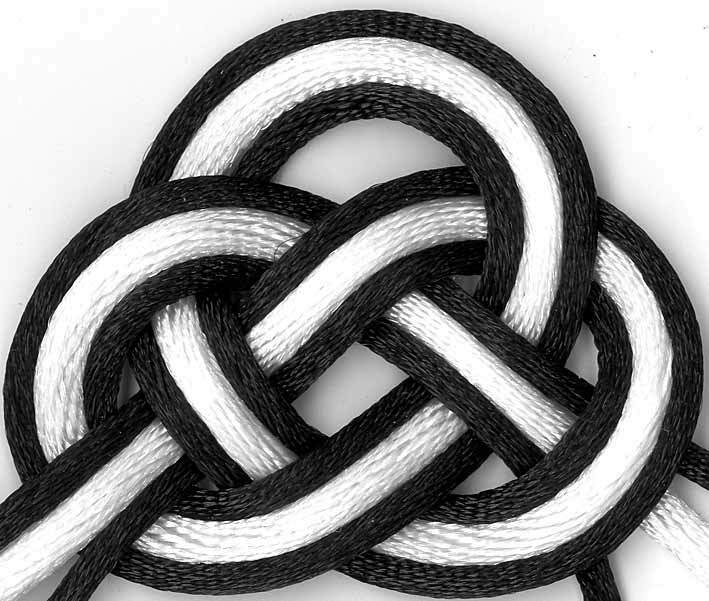 A good source to learn from would be 'The Ashly Book of Knots'. If a knot exists, it is in there. Its not really for the amature, though there are some simple step by step guides. One of my 'specialities' is ships Bell Ropes.